This Jeanie Crib is stylishly designed featuring a stationary panel and a convenient attached drawer as an added storage feature. 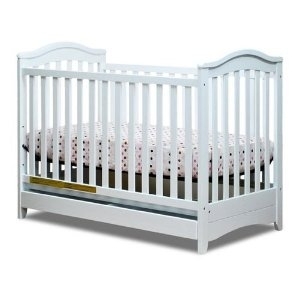 The Jeanie Crib is made of solid hardwood with 4-level mattress support. 3-in-1 converts to toddler and day bed. Toddler rail included.